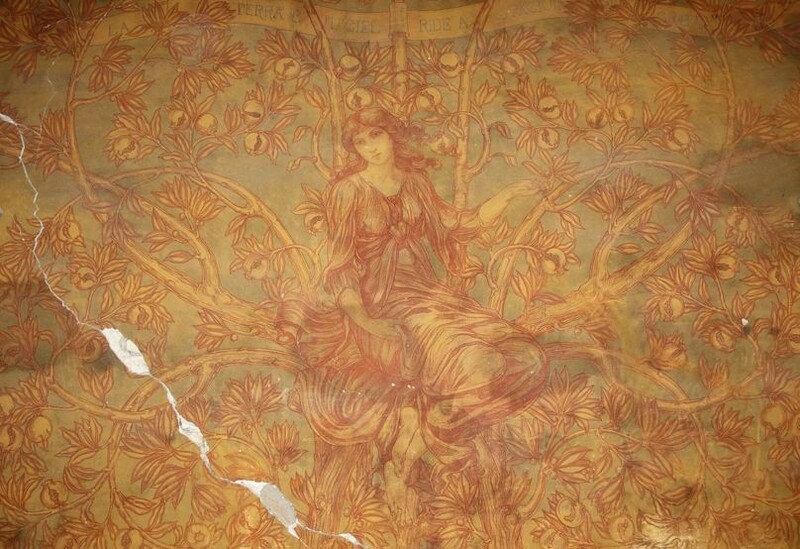 Several frescoes by Galileo Chini (1873 - 1956), one of the major figures of Italian Liberty style, have been located in an abandoned villa on the outskirts of Castelfiorentino (Florence). They were discovered by Italia Liberty director Andrea Speziali based on some clues in Flickr, where photographer J. Dellagiacoma had posted several images of the frescoes. "They are undoubtedly the work of this major artist from Florence," claims Speziali after making comparisons and conducting research into the authenticity of the works. The large frescoes decorate the walls of several of the rooms in the villa Cipressi and are not in the very best of conditions. Speziali has therefore proposed to the current owners of the building to raise funds in order to save Chini's paintings, an initiative that would also serve to organise a congress in Florence dedicated to Liberty style and Chini's work. Also part of the event would be the idea to create the first Liberty museum, a new cultural space that could indeed be located in the villa.